Punch in and out, or login using just a live image from your webcam. Works on laptops, desktops, tablets and smartphones. Facial Recognition is supported on Chrome for desktops and laptops, including Windows, Chrome OS (Chromebooks), and iOS laptops and desktops. It will also work on Safari, Edge, and Firefox on these devices, however it is not officially supported on them, so we recommend using Chrome. Facial Recognition will NOT work on Internet Explorer. It will also not work in the browser on tablets or smartphones. Facial Recognition will work using our Android and iOS apps on tablets and smartphones, so make sure to use the apps if you'd like to use it on smartphones or tablets. 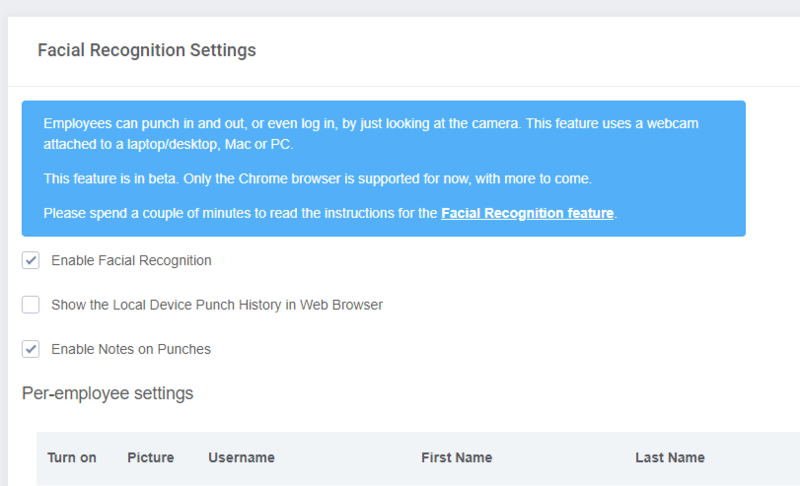 As an administrator sign into Buddy Punch and go to Settings --> Facial Recognition. Here you will be presented with 3 options as well as per employee options. The "notes on punches" will allow employees to leave notes when they're punching in or out. If this not selected they employee will not get the notes option. Note that if an employee is assigned department codes or locations they'll always get that selection when punching. The next options allow you to enable Facial Recognition on a per employee basis. The first column will allow you to enable Facial for the employee. 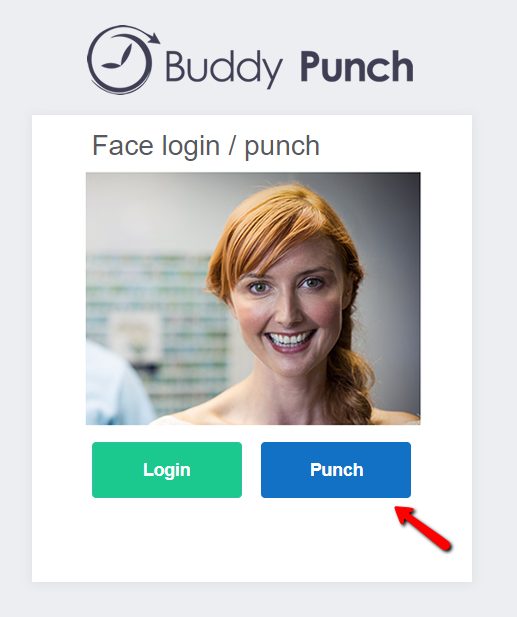 Once this is enabled the employee can start to use Facial Recognition, but Buddy Punch needs a Profile Picture to work off of, so it knows what the employee looks like. This can be done a few ways. 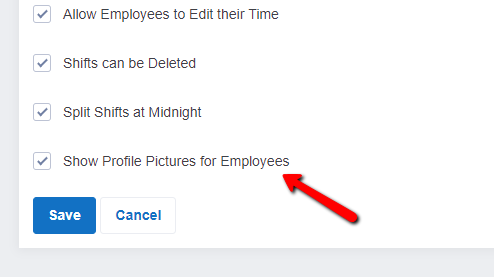 If you're with the employee or you have a picture of them, you can click on the "Set Profile Picture" option. You can use your webcam to take a photo or upload one from your desktop. Otherwise you can click on "Send Instructions" to the employee, and they'll be emailed instructions on how to set it up. 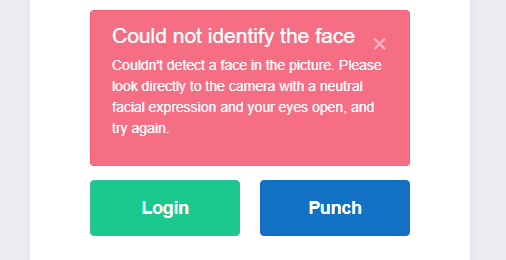 If you make a mistake or an employee uses and incorrect photo you can go to the "Manage All Faces" area and delete photos if needed. 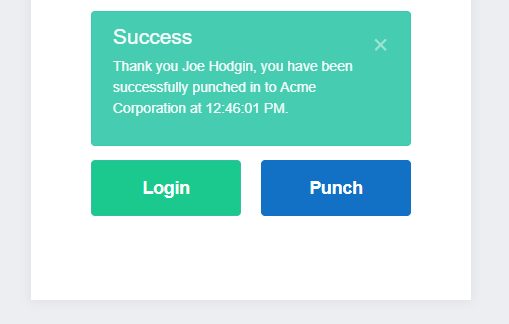 A password will not be required for punching an employee or manager in or out as well as logging them in. However the "Password required" check box will force a password to be required for logging in (but not punching in/out). It uses their same password they already have setup. After an employee uses Facial Recognition for Punching In or Out their photo will be stored next to each punch on their time card. The employee will get a confirmation message telling them what occurred. 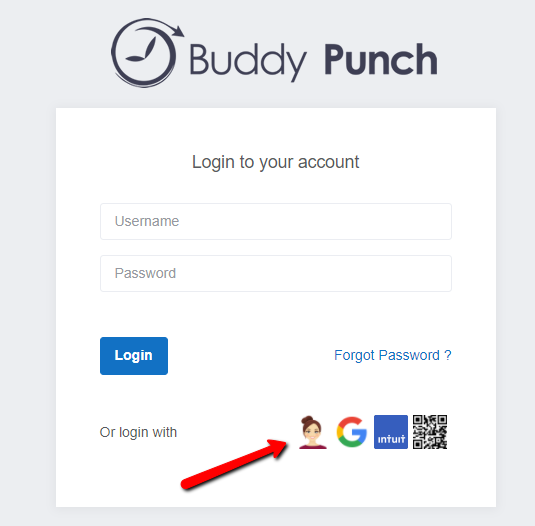 If Buddy Punch doesn't recognize the employee, they'll instead get an error message with instructions on what to do next. 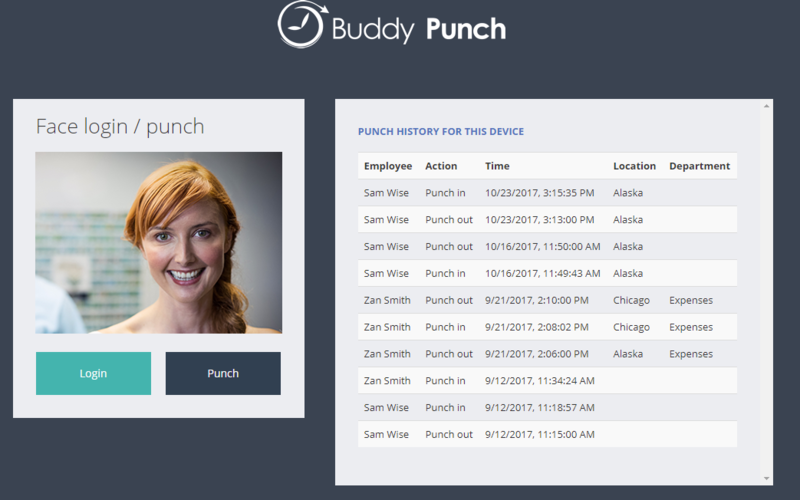 As the employee punches in and out more Buddy Punch builds a profile for the employee and will better recognize their picture. Make note that Facial Recognition is meant as an easy way for you and your employees to login or punch with you having visual evidence of the employee. It is not meant to be any more secure than a username or password. If you run into any issues with this feature please let us know, we are happy to help.